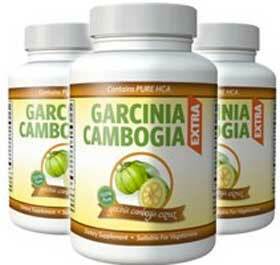 Garcinia Cambogia Extra is a weight management product manufactured by Advanced Health. It is produced in capsule form and each capsule provides two of the most popular weight loss ingredients of the present time—garcinia cambogia and raspberry ketone. Garcinia cambogia as an ingredient has received a phenomenal amount of publicity over the past few years that has elevated it to arguably the best known natural fat burning supplement in existence. That all sounds very promising, and one customer states she achieved a weight loss of 28lbs. in 12 weeks, but rather than just take it all on hype, let’s take a closer look at the product itself and see if the formulation is likely to be as good as Advanced Health claims. Purchases can be made from the official website only. Shipping is to all countries. The official website is available in many languages and currencies. 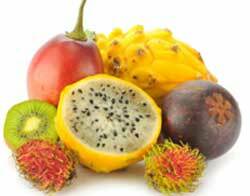 There are many brands that contain Garcinia either as a main ingredient of part of a formula. 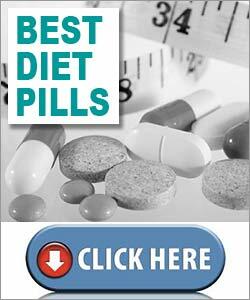 It is our opinion that Garcinia Extra is the best brand available. Garcinia Cambogia Extra has been designed to work as a combined appetite suppressant and fat burner. Appetite suppressants that work in the way intended take the edge off the appetite, thus reducing the likelihood of further weight gains due to the consumption of too many calories. Fat burners power up the metabolism and encourage the body to burn existing stores of body fat and use it as a source of energy so, not surprisingly, combined appetite suppressants and fat burners are a popular weight loss combination. 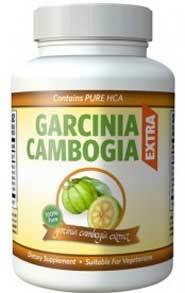 Garcinia cambogia (HCA 60%): A derivative taken from the rind of the Asian fruit garcinia cambogia. It is rich in a substance called hydroxycitric acid (HCA) which appears to have the power to prevent the liver from turning excess carbohydrates into fresh stores of body fat. Several studies confirm this ability and suggest it also has the power to assist fat burning and provide appetite suppression. At the end of one 12-week study the volunteers who received daily doses of garcinia cambogia achieved significantly higher weight losses than members of the placebo group. The results were later published in Physiology and Behaviour. Raspberry ketone: A compound that is usually sourced from raspberries, but is also found some other fruits. It is a favoured ingredient of the cosmetics industry, but its main value as a weight loss provider appears to stem from its ability to function as fat burner. 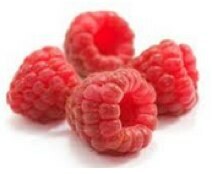 Raspberry ketone has also been linked to adiponectin production (a hormone that helps to regulate the metabolism). In 1995 Life Sciences published the results of a study conducted in Japan that appears to support the weight loss enhancing prowess of raspberry ketone. Laboratory mice were given daily doses of raspberry ketone and failed to become obese even though they were also fed a high fat diet. The recommended dosage is one capsule, taken twice each day, on an empty stomach. 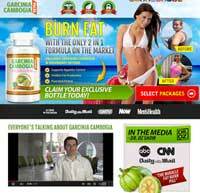 The official Garcinia Cambogia Extra website showcases several customer testimonials that report weight losses ranging from 11 kg to 28 kg. Garcinia Cambogia Extra relies on two fruit-based ingredients that are unlikely to present negative issues, but supplements that contain garcinia cambogia may effect insulin levels so diabetic dieters are advised to consult a doctor prior to commencing supplementation. Pregnant and nursing mothers would also be wise to play it safe seek medical approval prior to commencing any form of weight management regimen or course of supplementation. Garcinia Cambogia Extra contains two powerful fruit-based ingredients that have an outstanding reputation for enhancing weight loss. Both ingredients have also been proven to work, and this may explain why Advanced Health has no qualms about offering a 60 day money back guarantee. It is also worth noting that, for best results, many experts agree that a HCA level of at least 50% is required. The gardenia cambogia extract in Garcinia Cambogia Extra boasts a HCA level of 60%. This is a fact that adds credence to the onsite testimonials that state dramatic weight loss so, after reviewing all the information available at the present time, we are happy to add Garcinia Cambogia Extra to our list of recommended weight loss products. All purchases of Garcinia Cambogia Extra are protected by a 60 day money back guarantee. Garcinia Cambogia Extra can only be purchased from the manufacturer’s website. A single bottle order will entail a total spend of £39.95 (including £5 P&P), but bulk buy discounts are available, with the best deal being available to customers who purchase three bottles for £104.95 and receive a further three bottles for free (information correct at the time of this review). This equates to just over £17 per bottle – with the 60 day money guarantee its outstanding value.